It’s safe to say I’m a pretentious, annoying beer snob craft beer aficionado. 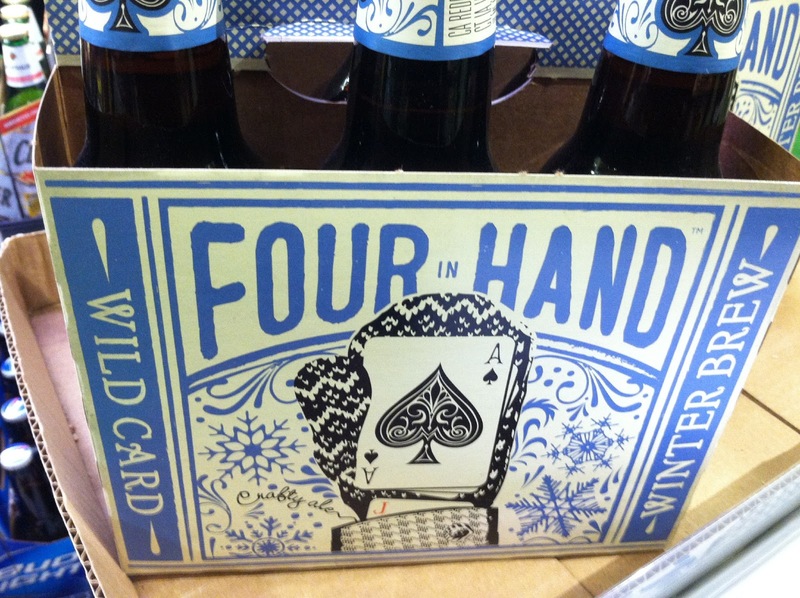 I keep several varieties on hand at all times – just in case someone stops by! – and I regularly experiment with different breweries and styles. Huh. All that real estate, and not a word about what the beer tastes like. Or even what style it is. 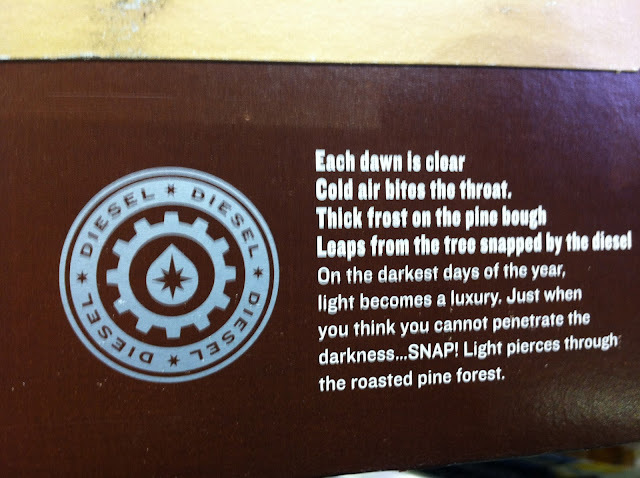 Is it a brown ale? A porter? Roasty? Malty? Spicy? Sweet? I removed a bottle from the carton, hoping to find a clue, but there was no information there either. 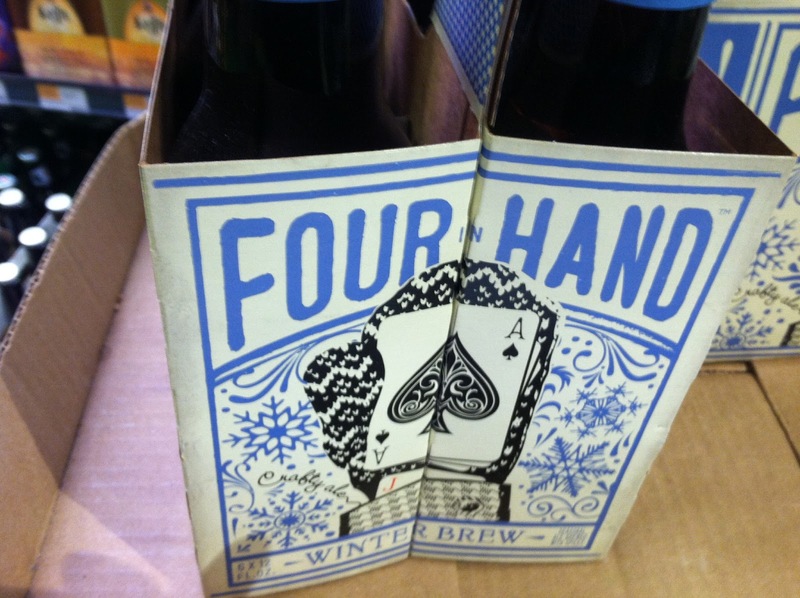 It reads, “A hearty brew for the winter. 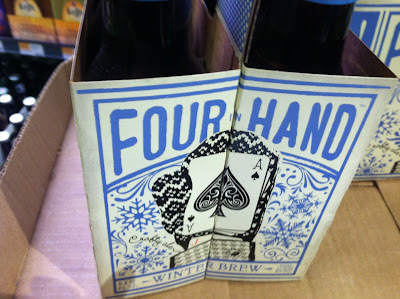 Hoppy and Malty with a touch of orange zest, plus spicy notes.” Thank you! Now I know! 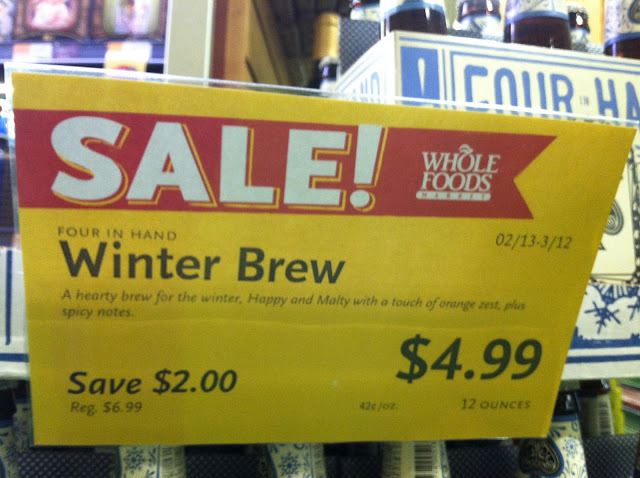 If not for this sign, I would have had no reason to buy the Winter Brew. Which is to say their package design – the only interaction I’d had with this product up to that point – was not sufficient to close the sale. And that’s its primary objective. 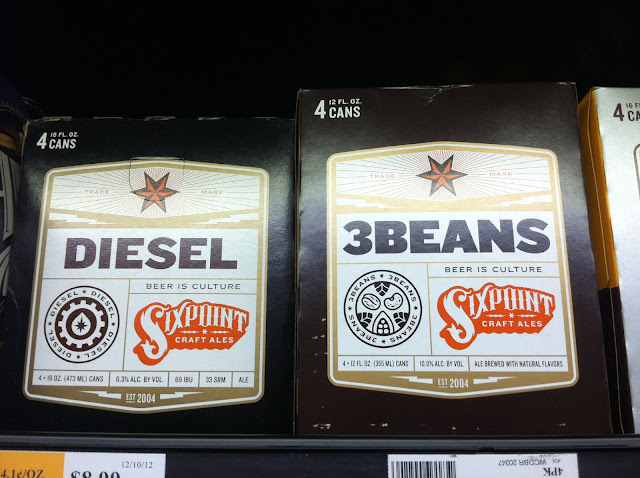 Sixpoint tells you only the name of the beer. There’s no information on flavor profile, or even the style. Whatever you know (or don’t know) about Sixpoint before arriving at the shelf, you’ll know nothing more after closely studying the package. Most importantly, intelligent brand design needs to be rooted in consumer needs. What’s the information s/he needs to make a purchase decision? How can you make that information as easy as possible to find? I don’t know what they’re thinking at Sixpoint. 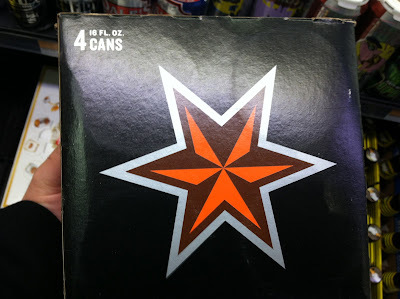 But this is exactly the kind of package design you’d create if you thought branding was all about the visuals – about the pictures, the symbols, the colors, etc. And, when employed properly, those things have tremendous value. But in these examples, they’ve been used to the exclusion of critical selling information. Which is to say they have negativevalue. Sixpoint and Four in Hand, your brand is being damaged by its own design. Brand design is an extremely powerful asset. But it should never be a question of “Do we ‘brand,’ or do we sell?” The best design solutions do both. Consider your brand design through this lens, and don’t settle for anything less from your agency partners – or yourself. What examples do you have of brands that successfully balance competing design objectives (or that completely screw things up)? Please share your thoughts in a comment below. Next PostNext Who’s Your Ideal Client?